You guys. 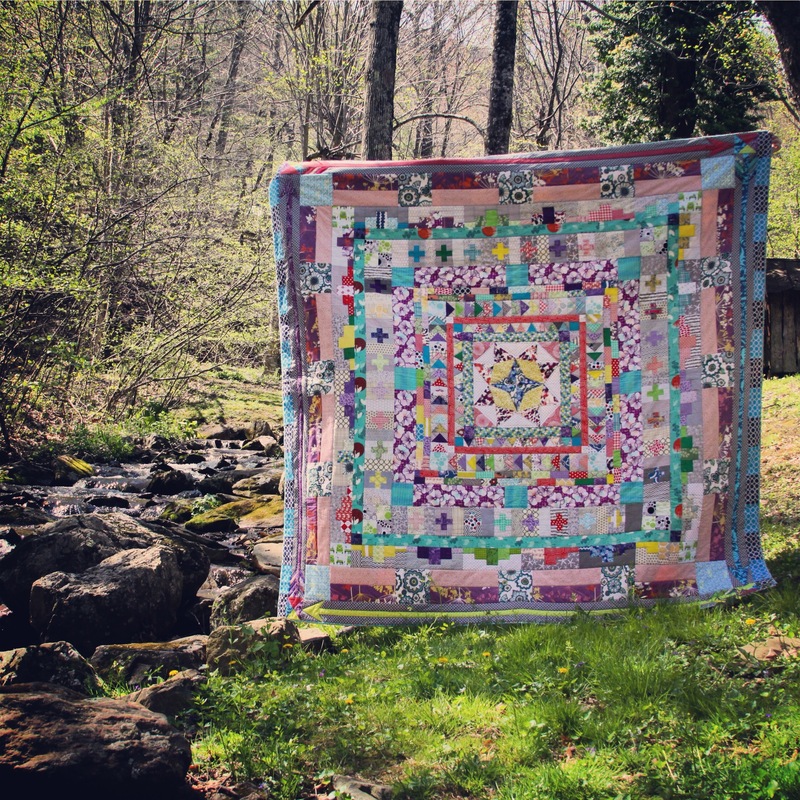 My Marcelle Medallion quilt is finally finished! Can you even believe it?! 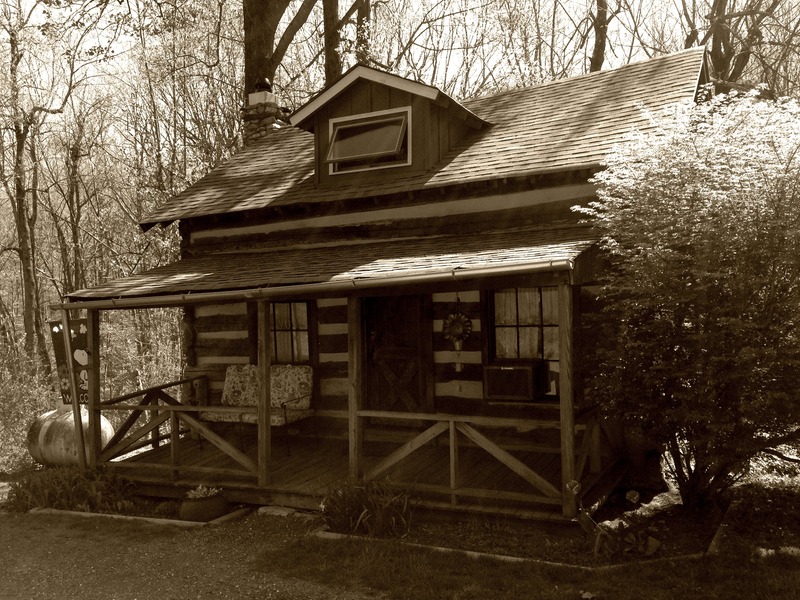 The mister and I went away two weekends ago to stay in a Civil War era cabin near the Shenandoah Valley. 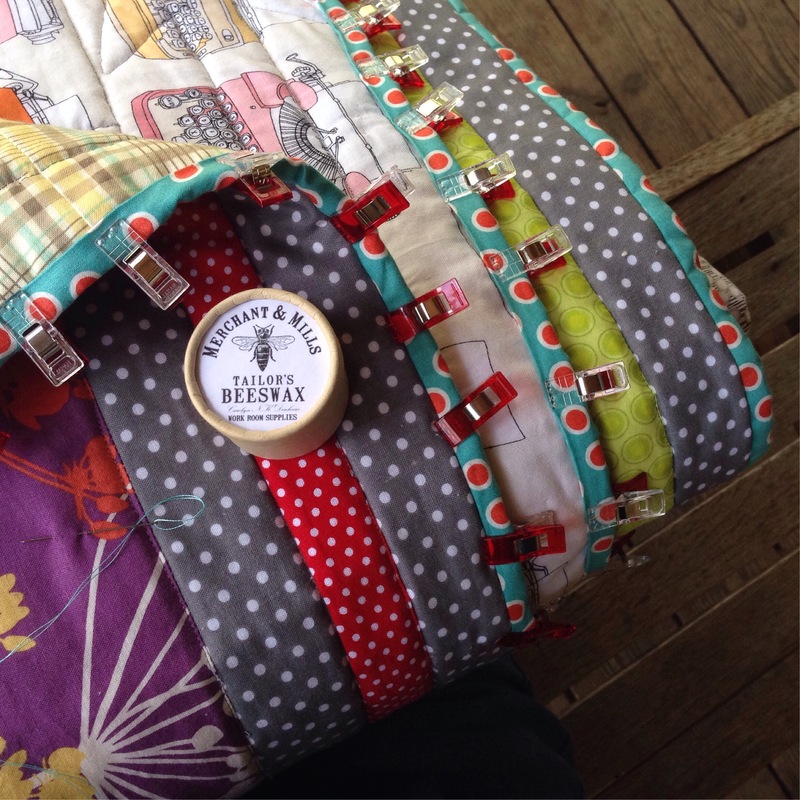 I was a paragon of domesticity, making homemade baking powder biscuits for breakfast and hand sewing the binding on my quilt. It felt pretty good… since it was just for a day! I like to wax my thread with beeswax to prevent tangling when I hand bind my quilt. My grandma taught me that trick when I was small. Does anyone else do this? 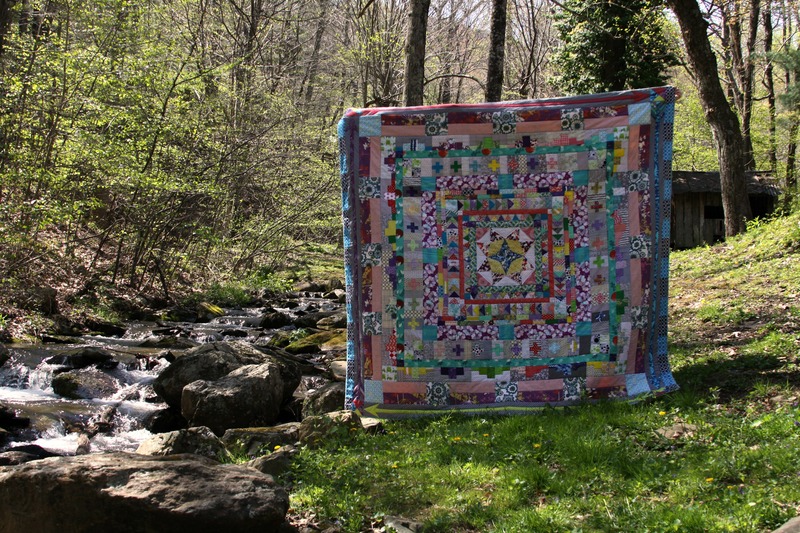 My goal was to finish the quilt in time to take some photos during sunset. TOTALLY missed that deadline, but I got a few photos before we left the next morning. The cabin was very near the Appalachian Trail, so we also got in a morning hike. Uphill. Before coffee. But you know what? I felt AMAZING when we made it back down. I find weekend getaways are a perfect way to revive when work stress or other life issues get to be too much. If you know of any great weekend get-aways from D.C., be sure to let me know! Categories: Quilts | Tags: alexia abegg, appalachian trail, appalachians, bees wax, beeswax, blue ridge, blue ridge mountains, cabin creekwood, cambridge, candle wax, civil war, finished marcelle medallion, gather here, hand binding, hike, hiking, liberty love, log cabin, logwood, logwood cabin, love patchwork and quilting, marcelle medallion, marcelle medallion finish, massachusetts, mm, project finish, rocky top, shenandoah, shenandoah valley, smokey mountains, smoky mountains, sweatnsew, tailors wax | Permalink. Oh my…..your Marcelle Medallion is quite simply stunning….breathtaking actually!! What a gorgeous li’l corner of the world you live in; the most wonderful backdrop for your quilt. Gorgeous photos!! So happy to have discovered your lovely blog….I will have to pop back to see what other ‘pretties’ you are stitching!! That’s so sweet of you! I have to admit that all the greenery around here is breathtaking, although I am still pretty sweet on Chicago. It helps to take little day trips to explore! Hope to see you around soon!